Imperial stout aged for 6 months in smoky Bruichladdich whiskey barrels. 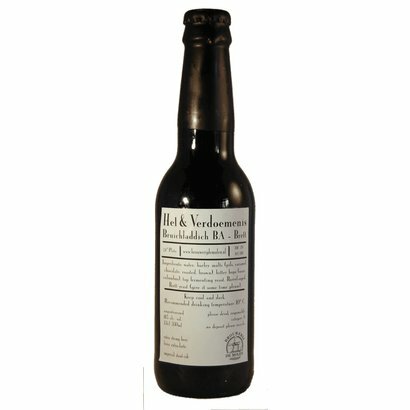 Hel & Verdoemenis (Hell & Damnation) Bruichladdich Brett BA is an imperial stout that has been aged for 6 months in smoky Bruichladdich whiskey barrels. The last month Brettanomyce yeast has been added which gives more taste of red fruit.